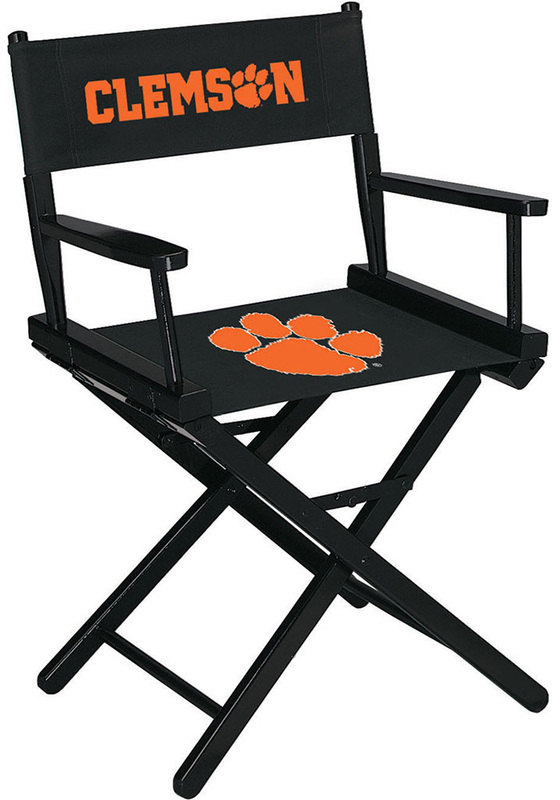 Relax while showing off your Clemson Tigers pride with this Clemson Tigers Director's Chair. This Director's Chair features a solid black stained frame with heavy duty canvas slings and will sit perfectly in any man cave. Go Tigers!